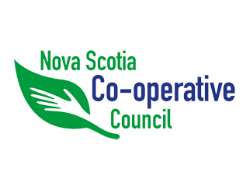 Nova Scotia Co-operative Council supports and promotes co-ops and credit unions by providing education, marketing and representation to government and industry. Their experienced business development officers are located across the province and ready to assist you with your next challenge. New Business Start-ups: Incorporation and assistance with formation of boards of directors, articles, by-laws and policies is their specialty. Let them help get your new co-operative off on the right track from day one. Business Growth & Expansions: Whether your needs are planning, evaluation or mentorship, the Nova Scotia Co-operative Council can help guide your co-operative to the next level. Economic Analysis: Through research and feasibility assessments, their knowledgeable staff can help you determine if your idea can become a reality. Business Finance: Through an exclusive partnership with credit unions, the Council works diligently to develop alternative financing solutions for entrepreneurs and co-operatives alike. Whether its debt or equity financing you require, they have an answer. The Nova Scotia Co-operative Council also provides turnkey Community Economic Development Investment Fund (CEDIF) solutions. Contact them today to learn more or view their current initiatives.